Radiating resilience and perseverance, “Never Gonna Quit” reintroduces Royal Teeth in 2018 as a pop/rock force making music that is as freeing as it is fun. Royal Teeth’s 2018 return heralds a new era for the “pop alternative” quartet. Released on July 27, their song “Never Gonna Quit” is more than an anthemic comeback; it’s a statement of intent, an emphatic declaration full of raw energy and resolve. 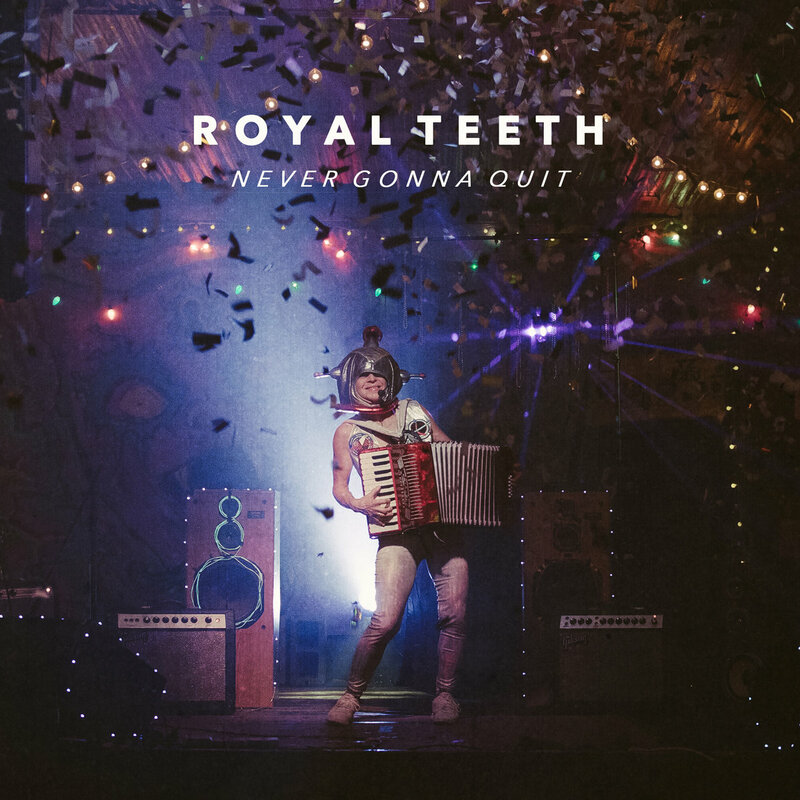 Radiating resilience and perseverance, “Never Gonna Quit” reintroduces Royal Teeth in 2018 as a pop/rock force making music that is as freeing as it is fun. 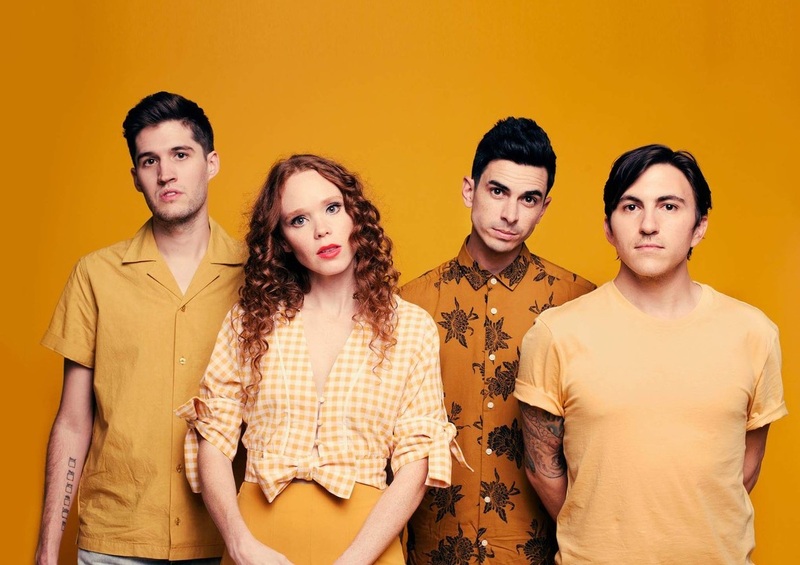 Currently consisting of Gary Larsen, Nora Patterson, Thomas Onebane, and drummer Josh Hefner, Royal Teeth formed in Louisiana in 2010, making waves across the indie music world with 2012’s breakout single “Wild” and 2013’s debut album, Glow (Dangerbird Records). The band cultivated a strong following, winning audiences over online as well as through their electric live shows: Their euphoric combination of warm synths and guitars, sugary melodies, and massive beats resulted in an energizing dance party wherever they went. “Never Gonna Quit” sets the tone as the lead single off Royal Teeth’s long-anticipated sophomore album. Raw, invigorated, defiant, and self-empowered, the song itself is bound by neither limits nor constraints – making it the ultimate pump-up jam, a perfect anthem for those in need of some fire and spice. Atwood Magazine: “Never Gonna Quit” feels like a fresh start for Royal Teeth. Can you talk about why you’re following up 2016’s Amateurs EP with this song? Royal Teeth: “Never Gonna Quit” is the mission statement for our LP. When we were writing this record, we didn’t want to reference anything we had done before. We needed to move on and figure out what we were today. There had been a lot of time in-between albums, and during that time, we changed a lot as individuals. We wanted the new record to reflect that… so we started telling our own stories of struggle and perseverance. At that point, everything started to make sense. In many ways, “Never Gonna Quit” best sums up the sound, message, and delivery of the entire record. The song is a stark sonic departure from your previous material. There’s an industrial and hip-hop influence peeking through that I’ve never heard from you before. What inspired the lyrical repetition and flow? Royal Teeth: We made this record a little differently than our previous recordings. Gary and Nora worked from home in New Orleans and would send songs to Hef and Thomas in Nashville. Being able to work from home made it extremely easy to experiment more than we ever have. It was all about finding what was fun and inspiring to us in the moment. Is this song indicative of a natural progression or did you consciously want to develop/present an alternative sound we haven't heard too much of before? Royal Teeth: The progression was natural, but we also knew we wanted to do something different. Most people know us because of “Wild,” and that song came out over 6 years ago. We’re different people, and this is a different band. Do you feel you could have made this song six years ago when you were just starting out? Royal Teeth: No, I don’t think so. We have grown a lot, and I think our past experiences have shaped our new music. We’re taking more risks, but they feel natural to us now. I’m not sure we would have made the same moves back then. Why do you think you're able to take more risks now? Where's that willingness to diviate from the “Never Gonna Quit” coming from? Royal Teeth: We needed to evolve. There was a point where we thought Royal Teeth might not last much longer. It helped us put things in perspective. Our lives have grown a lot since we started this, and if the music was going to be honest, it needed to grow also. This is one of Royal Teeth’s first songs to lack the pop buoyancy you introduced so vividly five years ago on Glow. Have you shed that skin as songwriters, or do you still identify with that melodic warmth? Royal Teeth: I think you’ll find familiarity in some of our new music, but overall it does feel pretty different. We still approached it as a pop alternative record, but we had a little more fun with the energy and production. This song is extemely percussive - even the guitar adds more rhythm than it does melody. I imagine everyone in the studio standing in a circle and beating something as you came up with this tune... Can you discuss how the song transformed from your initial vision to the eventual master? Royal Teeth: This song started at Nora and Gary’s home in New Orleans. Gary put the song together and emailed it to Thomas and Hef. At this point, Gary had a habit of sending a few tunes a week, so this one might have been the 20th demo or so. The energy felt special from the first demo, so Thomas and Hef got to work right away and really brought the song to life. By the time the song was done, we had never actually played it in the room together. It was a bit surreal when we finally did. It felt great. For me, this song is a contender for ultimate pump-up jam. It radiates resilience and perseverance - two qualities you’ve touched on in the past, albeit in very different ways. Why sing about this now? Royal Teeth: It feels the most significant right now. We’ve been through a lot of ups and downs, and that started to feel normal. It’s hard to have a normal life when your career is a roller coaster. But at the end of the day, we love creating and sharing it with the world. That has always been clear. We want our message of resilience to connect with people. Because of that, “Never Gonna Quit” just made sense as the first single. We want our message of resilience to connect with people. The decision to keep your vocal breaths in... Singing melody sometimes, and atonally other times... Everything feels so experimental. How else have you been toying with new sounds and music recently? Royal Teeth: We just decided to not follow any rules this time around. We made a lot of ideas with no real master plan. If it felt good, then we didn’t care how it got there. We fell in love with music because of that raw feeling you get when you connect with something. We just wanted to find that feeling again. It made sense at this moment in our lives to just have fun with it. We fell in love with music because of that raw feeling you get when you connect with something. What spurred your impetus to experiment? Why do you think you're more driven to make this kind of music now? Royal Teeth: Once we started recording from our homes, it became easier to experiment. There wasn’t this pressure to come up with something great in the moment at the studio. Gary started writing like crazy once he had his home studio functioning and the ideas just started flowing. They haven’t really stopped since. We are already ten demos deep into LP3. What have been Royal Teeth's bigger challenges recently? How have they helped you grow as a unit, and do you feel “Never Gonna Quit” speaks to those challenges too? Royal Teeth: It is challenging keeping a band successful for so many years. So many changes happen so quickly that it becomes hard to keep up. We aren’t the same people we were when we first started this band, but we love and support each other and that is why Royal Teeth continues to grow. We do think this is going to be the start of something special. How have you pushed yourselves as songwriters this year? Is “Never Gonna Quit” indicative of that growth? Royal Teeth: We feel like we have. The way we made this new music really inspired us all over again. It was very liberating to write and self-produce ourselves. “Never Gonna Quit” is a great taste of things to come. What's next for Royal Teeth this year and next? Can we expect more along the lines of percussive anthems, or is there a big mix of styles coming our way? 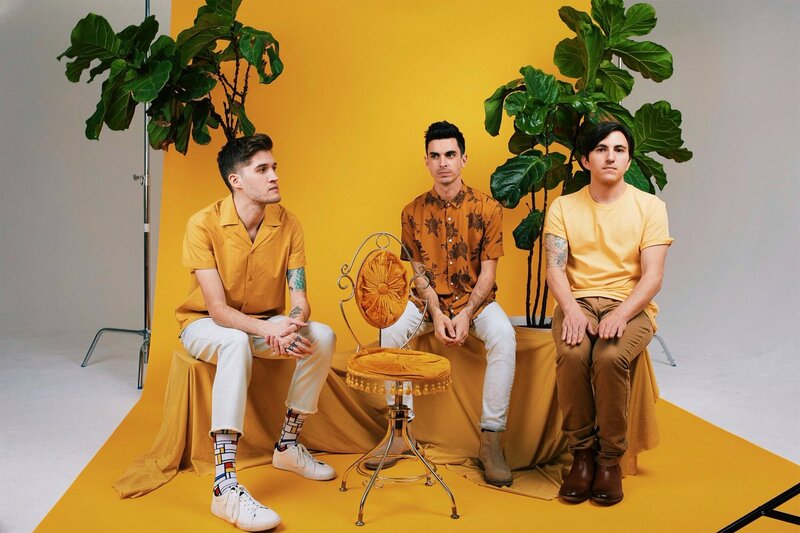 Royal Teeth: We will be on tour with Vinyl Theatre from 9/5 – 9/21. We are releasing a new single very soon and plan to follow it up with a third single and a new music video. There’s some surprises for sure, but the energy will still be there. That hasn’t changed.